Richard Fleming is a psychologist who has worked with the elderly for more than thirty five years. While occupying the position of Regional Coordinator of Mental Health Services in the S.E. Region of N.S.W. he played a major role in the deinstitutionalisation of psychiatric services by leading the design and development of the CADE units for the NSW Department of Health. He established the HammondCare Dementia Services Development Centre in 1995 and in 2010 he was appointed as a Professorial Fellow in the Faculty of Health and Behavioural Sciences in the University of Wollongong. In 2016 he took on the leadership of the newly formed Dementia Training Australia consortium of five universities and Alzheimers Australia and is responsible for the Australia wide delivery of Federally funded dementia training and education. 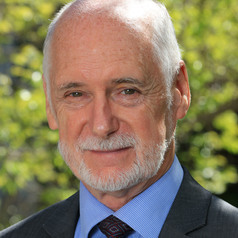 He has published papers on environmental design, reminiscence therapy, reality orientation, depression, assessment of the elderly and service evaluation and is the principal author of books on care planning for people with dementia, environmental design and a comparison between Australian and Japanese dementia care.